A building can be a lot of things: a place to live, a place to relax, or a place to work. And while we at FS Construction Services have spent many years building almost every type of building you can imagine, we also understand that sometimes the single most important feature of any building is that it’s simply big enough. You can’t park a combine in a two-car garage, after all. Luckily, we have experience building structures of almost any size to fit any need. And when it comes to large buildings, there are a number of options available to guarantee the form fits the function. We talked at length last month about post-frame buildings, which can range from medium-sized to quite large, so we’ll spend more time this month talking about our steel building options made possible through our long-term partnerships with Walters Building, Butler Manufacturing and Sukup Manufacturing. One of the major benefits of post-frame and steel buildings is their ability to support huge, wide clear spans. This uninterrupted space means ease of storage and no fears of cramped equipment or navigating around support beams. While this makes them particularly well suited for agricultural use, they are just as often used for industrial or commercial purposes. Apart from their strength, our buildings have many features and advantages for color, siding, roofing, porches doors and more. In either instance, whether steel or wood, our large buildings are extremely strong and highly customizable. Recently, we built a 42’ W x 80’ L x 16’ H Walters Buildings post-frame building for a client after their previous building burnt down. 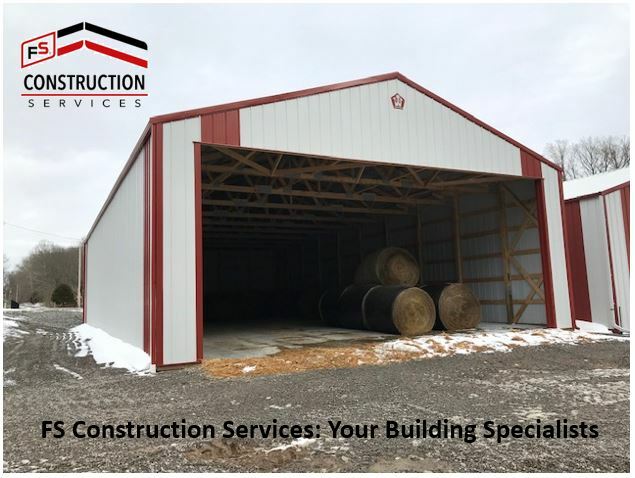 One of the benefits of this type of building is how quickly they can be constructed, within the schedule we provided, the client had a new, huge space to store their equipment. If you are in the market for any kind of large building, whether wood or steel, please let Gateway FS Construction Services know. Give us a call at 866-551-3454, and let our specialists help you find exactly what you are looking for. We look forward to providing you the best customer service experience. In the next several months, FS Construction Services is going to take a deeper look at our Buildings services. We’ll talk about a different type of building each month. This month our focus will be on smaller buildings or sheds. Most often in our blogs we talk about our large, commercial and agricultural buildings, and we will get to those later on in this series, but to start with, we wanted to focus on something a little more humble. It’s all too easy to overlook a small shed. They’re utilitarian buildings that are meant to be tucked away not stand out. However, we and our partners at Walters Buildings see no reason why a shed can’t be attractive as well as functional. 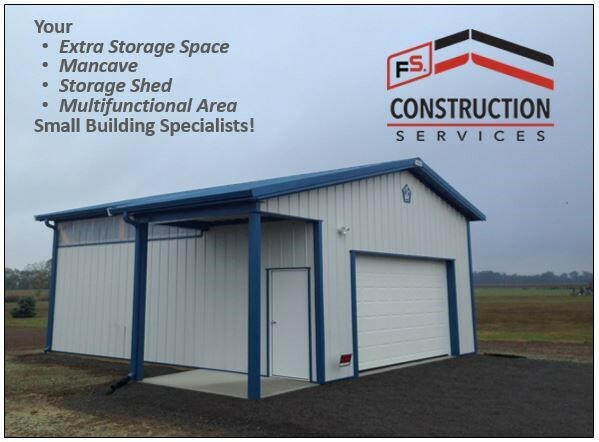 With FS Construction Services you can customize your small shed to fix your exact needs. Whether you need a mancave, lawn and tool storage to drive your lawnmower into or you simply need some extra storage room that enhances the appearance of your backyard, we can do it. From your choice of color to where and how you want your door to open, work with us to guarantee a long-lasting, functional shed. Our team of experts work quickly yet maintain expert craftsmanship and we are careful to choose partners who only use the highest quality lumber and material. So while we do love talking about huge steel buildings with impressive clear spans, we also love reminding folks that we’re here for the small, unassuming, practical everyday help that a well-built shed provides. If you are in need of a new building, residential, commercial, or agricultural, please let Gateway FS Construction Services know. Give us a call at 866-551-3454, and let our specialists help you find exactly what you are looking for. We look forward to providing you the best customer service experience. Every once in a while, a project comes along that is so exciting and interesting, just getting to work on it feels like a privilege. At FS Construction Services we have occasionally had the pleasure of getting the chance to restore or preserve some history, which is always fun, because those projects carry a little extra meaning. This past year, we had the opportunity to work on a building going on 90 years old, and bring something from the brink of disrepair into something useful and beautiful. Back in 1930, this barn was built by hand in St. Genevieve, MO, just west of the Mississippi River. As of April 2018, the structure was still standing, but it was in need of some serious repairs. Rather than demolish the building and start again, our client allowed us to come and perform a complete update, re-covering the entire barn with Fabral’s Grandrib 3 Plus panels. These galvanized-steel panels bring some serious durability with Class A fire resistance, Class 4 impact resistance, and Class 90 uplift rating, in addition to heavy-duty snow load ratings. The total installation covered two buildings, one at 46’ x 18’ x 13’6” and the other at 17’ x 46’ x 8’. By installing these thicker, metal panels, we have not only been able to preserve this history for the present, but for the future as well. Tom Marcheski and his team had plenty of time to think this over as they rode the ferry over to the jobsite every day. St. Genevieve has the distinction of being the oldest permanent European settlement in Missouri, and now, thanks to a willing client and our expert team, the Hoog barn remains a standing part of that history. Whether you are in need of updating an old structure or building an entirely new one, please let Gateway FS Construction Services know. Give us a call at 866-551-3454, and let our specialists help you find exactly what you are looking for. We look forward to providing you the best customer service experience. At FS Construction Services, we value high-quality material that stands the test of time. Our goal is to make sure each client we work with has the best possible experience, which is why we make a point to work with the best possible partners. 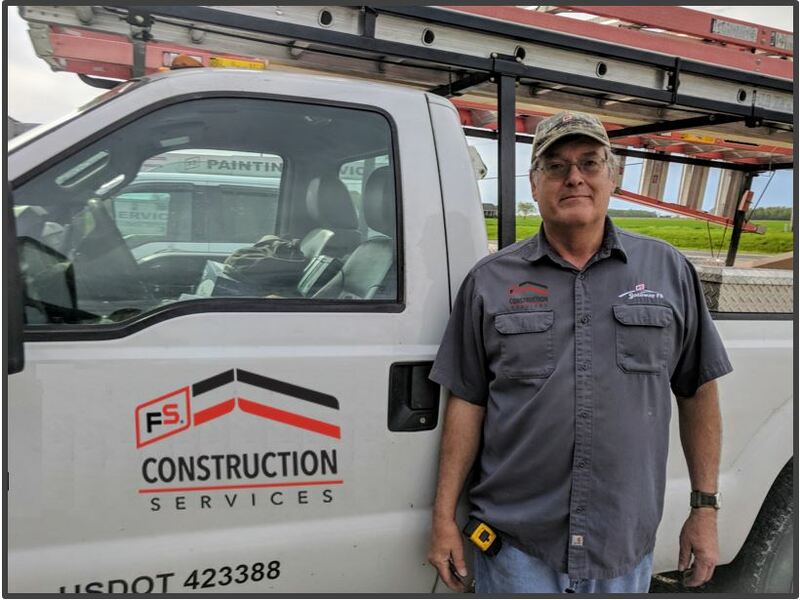 Last December, over the course of 9 days, Tom Marcheski and his team added high-quality roofing material to a client’s steel-framed building. First, to ensure the building and the equipment inside would stay protected from the cold winter weather, we installed batt insulation. After this, we were able to get to putting up some of best roof fastener panels on the market. 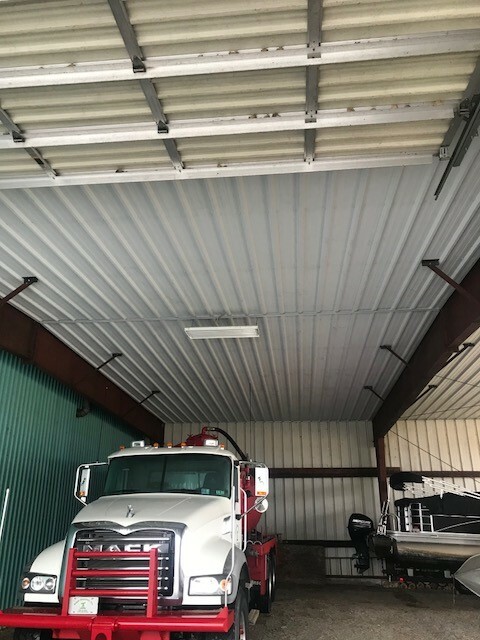 Fabral’s Mighti-Rib ceiling liner is a Class 4 impact, Class A fire, and wind-protected roof fastener that is not only exceptionally durable, but also comes in a variety of perforation and color options, so our client was able to find the exact look and fit for their needs. The benefit of being able to handpick our partners is that we know the quality of material we’re installing matches the work quality of those installing it. Fabral’s metal roof supplies have proven to show incredible strength and longevity, meaning we never have to think twice about working with them. If you are looking for a new roof or something to strengthen the roof that’s there, whether you’re considering a residential, commercial, or agricultural application, you can let Gateway FS Construction Services know. You can give us a call at 866-551-3454, and let our specialists help you find exactly what you are looking for. We look forward to providing you the best customer service experience. Some people choose to tackle painting projects themselves, and we understand why. However, there are cases where people don’t have the time, or the tools needed, to apply that fresh coat of paint. A good paint job goes a long way to improving the look of a building, even if it’s not the sort of building you might think about needing to be painted. 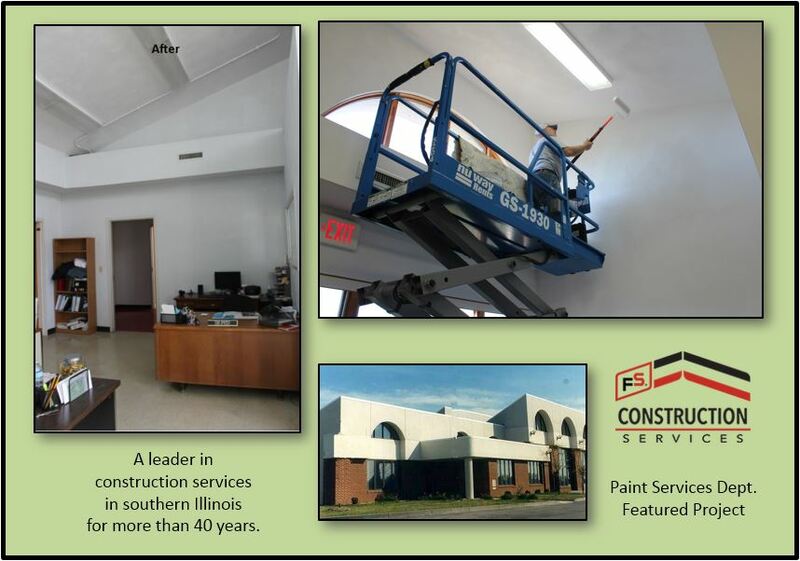 Our most recent paint job at FS Construction Services was painting the Valmeyer Emergency Services buildings, which include the police and fire department buildings. Paint Services expert, Brian “Boomer” Garleb, was our man on the project. The first step was to patch the cracks and the holes left from lots of nails over the years. Once this was done, Brian and his team could start painting, which sounds easy, but becomes a little more complicated when dealing with 20 ft. ceilings. Using a lift to reach the highest places, they made quick work of the interior of both buildings, covering them in a quality, neutral-tone semi-gloss paint. Our paint team always uses high-quality rollers and brushes and always lays drop cloths to make sure the only paint that stays is the paint that’s meant to. After just over three days, Brian and his team had finished, and the Valmeyer police and fire departments had fresh looking offices again. If you are in need of paint services, interior or exterior, easy or hard-to-reach, you can let Gateway FS Construction Services know. You can give us a call at 866-551-3454, and let our specialists help you find exactly what you are looking for. We look forward to providing you the best customer service experience. Construction is a demanding job. And there is the added pressure of knowing that any given project we’re working on directly affects someone’s home, business, or livelihood. It’s a great feeling to see something through from the very beginning to the end, when it becomes a functional tool for someone to benefit from and use every day. That’s why it means so much to us at Gateway FS Construction Services when a customer takes a moment to share their appreciation. Recently we received a thank you from our clients Norm and Judy B. about a barn remodel project, and we wanted to share it here. Just a note to say “Thank You” very much to Joe who did amazing work on our old barn. The old saying “you can’t make a silk purse out of a sow’s ear” – Well – Joe can! He does beautiful work and we appreciate it so much and will enjoy the improvement for years to come. Our compliments to an amazing craftsman! 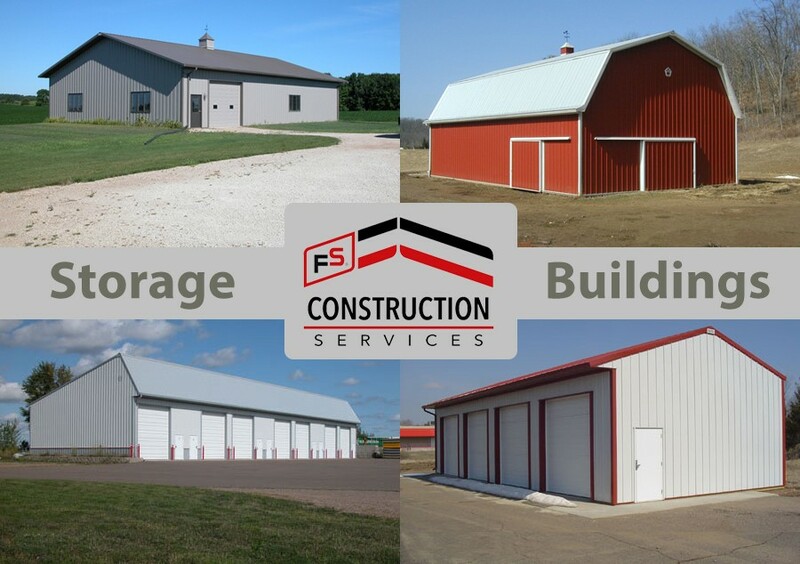 For us, our job is more than simply providing someone with a building or a grain bin, it’s about providing someone with the exact building they need to start their business, or the exact size of grain bin for them to have a successful growing season. The buildings and equipment we install are simply the tools, it’s the people who matter to us. We could install the most beautiful, fully-stocked steel building available, and if it wasn’t what the customer needed, that project would be a failure. So we just wanted to thank Norm and Judy for their note, because it really does mean a lot to us. We enjoyed the opportunity to work with them, and we always look forward to meeting new clients and figuring out how to help them get exactly what they need. If you have any questions about our services you can let Gateway FS Construction Services know. You can give us a call at 866-551-3454, and let our specialists help you find exactly what you are looking for. We look forward to providing you the best customer service experience. Sometimes a building can stand out for all the wrong reasons. Some buildings are a little old looking, some buildings are falling apart and need to be torn down. And sometimes, a building is just a little dated and needs some attention and care. It’s tempting in these cases to want to tear down and start again, and sometimes that’s the right call. However, at FS Construction Services we have experienced again and again how refurbishing an older, solid structure, can be a better allocation of funds. There are a number of these types of buildings whose life expectancy can be greatly extended. This was the case for Tom Marcheski and his team when they recently remodeled an old barn that was by no means dilapidated, but greatly benefited from some work and attention. The old roof and siding were replaced with Fabral’s Strongclad galvanized-steel panels, which not only dramatically improved the look of the barn, it added Class A fire resistance and Class 4 hail impact resistance. This new covering, on the sides and on the roof, is not only cheaper than a whole new building, it will provide incredible strength and durability for many years to come, breathing new life into an older structure, and providing the perfect solution for a building that’s meant to be a little rugged. Finally, our team of construction professionals outfitted this newly renovated building with a guttering system. This addition will help to divert any rains away from the building thus helping to keep the floor dry and eliminate standing water around the building. We understand that agricultural equipment and structures need to be able to endure some hard treatment and even harder weather. From grain systems to steel buildings to metal roofs and even paint that won’t fade, Gateway FS Construction Services can help. You can give us a call at 866-551-3454, and let our specialists help you find exactly what you are looking for. We look forward to providing you the best customer service experience.